The sun is the source of energy that sustains all life on Earth but much remains unknown about it. However, a group of researchers at Queen's have now unlocked some mysteries in a research paper, which has been published in Nature Physics. 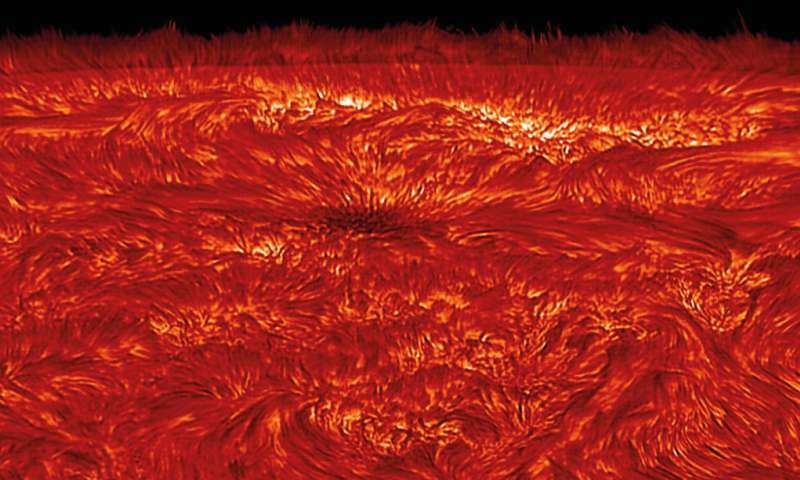 Scientists have suggested for many years that these waves may play an important role in maintaining the sun's extremely high temperatures but until now had not been able to prove it. Dr. David Jess from the School of Mathematics and Physics at Queen's University Belfast explains: "For a long time scientists across the globe have predicted that Alfvén waves travel upwards from the solar surface to break in the higher layers, releasing enormous amounts of energy in the form of heat. Over the last decade scientists have been able to prove that the waves exist but until now there was no direct evidence that they had the capability to convert their movement into heat. "At Queen's, we have now led a team to detect and pinpoint the heat produced by Alfvén waves in a sunspot. This theory was predicted some 75 years ago but we now have the proof for the very first time. Our research opens up a new window to understanding how this phenomenon could potentially work in other areas such as energy reactors and medical devices." Dr. Samuel Grant from Queen's comments: "By breaking the sun's light up into its constituent colours, our international team of researchers were able to examine the behaviour of certain elements from the periodic table within the sun's atmosphere, including calcium and iron. "Once these elements had been extracted, intense flashes of light were detected in the image sequences. These intense flashes had all the hallmarks of the Alfvén waves converting their energy into shock waves, in a similar way to a supersonic aircraft creating a boom as it exceeds the speed of sound. The shock waves then ripple through the surrounding plasma, producing extreme heat. Using supercomputers, we were able to analyse the data and show for the first time in history that the Alfvén waves were capable of increasing plasma temperatures violently above their calm background." And not a peep from the Electric Universe loonies. Go figure. Really? Takes a loonie to say someone is one. There's nothing here to argue about! Hannes Alfven has been reborn! These intense flashes had all the hallmarks of the Alfvén waves converting their energy into shock waves, in a similar way to a supersonic aircraft creating a boom as it exceeds the speed of sound. The shock waves then ripple through the surrounding plasma, producing extreme heat. It's an electric discharge that transfers the energy too, not just mechanical. there's our fusion reactor, pity we never copied it, we even use the same magnetic fields. Magnetic toroidal currants in plasmoids create solar sunspot currant loops. Alfen was right in explaining the effect of magnetism on the current flow, which caused forces and thus some waves. But, if you know what magnetism is and how it occurs and what it does, it can almost certainly be explained. 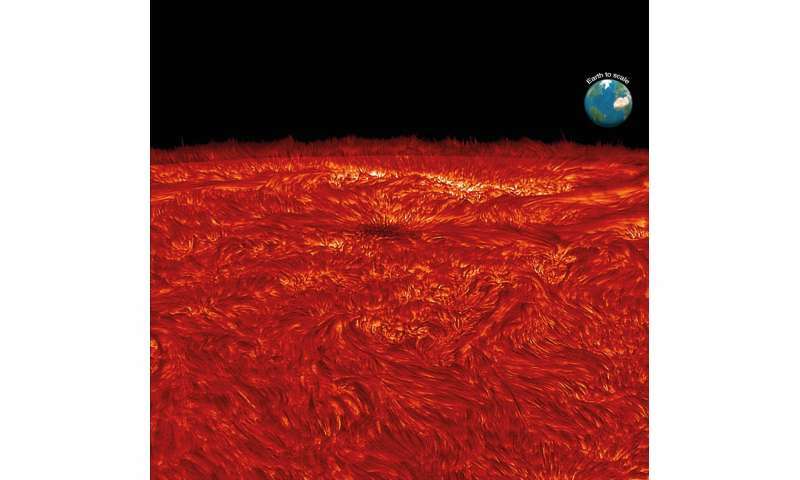 Why is space above the surface of the sun warmer than its surface? It can be difficult to understand. Here's how it happens: high gravity deformed the atoms in the interior of the sun and the outer layer of the electron went out and formed an electric field. Due to the mutual relationship between free gluons in the plasma of the Sun and Aether, in which everything in the universe is "submerged," a very magnetic field arises, which in the electro field causes the movement of electrons through a space filled with various particles that exude the sun. Due to the motion of particles and electrons, heat electromagnetic waves are formed that warm up the space. 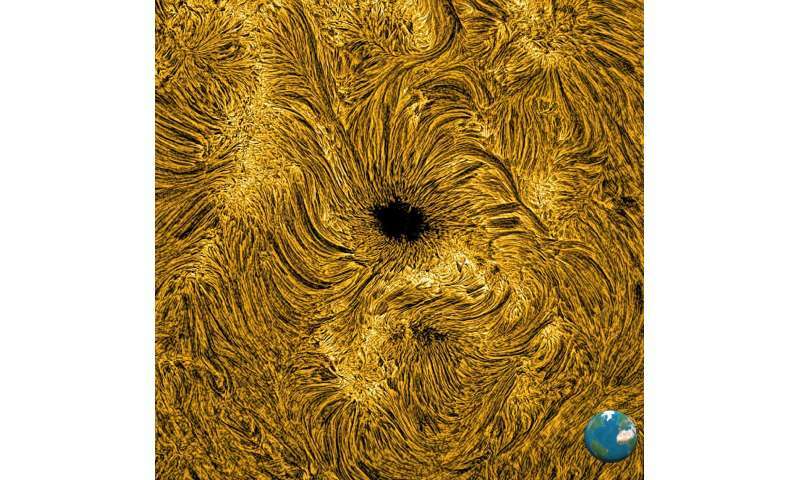 "Magnetic toroidal currants in plasmoids create solar sunspot currant loops." This illustrates the importance of spelling. By referencing what is an ingredient in a jam, you've placed yourself in a bit of a pickle.